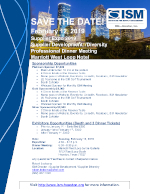 ISM-Houston cordially invites all Houston area suppliers to participate as exhibitors at this year’s annual Expo 2019, our biggest event of the year! As part of this event, you will have the opportunity to meet face-to-face with Houston area supply chain and procurement professionals from a wide range of industries, including oil and gas exploration, manufacturing, construction, transportation, utilities, trade, education, healthcare, and government. This is an excellent forum to enhance brand recognition and develop new leads. For information on becoming a sponsor, click the following image. The Supplier Expo is set for 4:30 - 6:15pm. Here's how to become a exhibitor. ISM-Houston’s Annual Supplier Development/Diversity Professional Dinner Meeting immediately follows Expo 2019 and always brings in a large crowd. We are expecting more than 100 members and guests at this combined event. Each member and guest will be given a special incentive to visit every supplier’s booth, encouraging each to speak personally with every supplier. 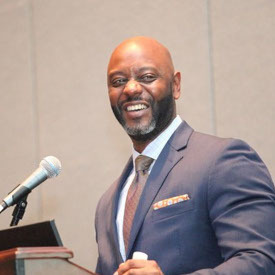 This year’s dinner program will feature a distinguished speaker panel that will share insights and best practices relating to supplier development and diversity. 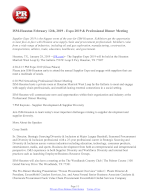 The Professional Dinner Meeting will run between 6:15 - 8:30pm. For additional information on this live streamed event, click on the image below.